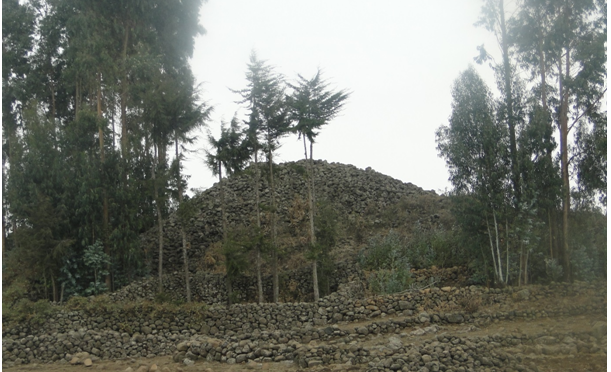 The existence of hundreds of mounds of archaeological importance in the Central Highlands of Ethiopia is noticed recently. Since its first notification by Francis Anfray in 1984, the inventory of about 90 sites in four districts of Manz and later excavation of selected sites in the region was taken up by F.X Fauvelle and his associates in 1999 and 2002 respectively. The team has also named the culture ¨Shay Culture¨ after the river Shay in Manz Gera, one of the districts in Manz area. Despite the aforementioned accomplishments did throw light on the very existence of such a ¨pagan culture¨ in the region, the study was left incomplete. Because, there is a need to define the geographic scope of the culture, identify the center and periphery areas, locate the possible settlement sites of the builders and their current condition as well. 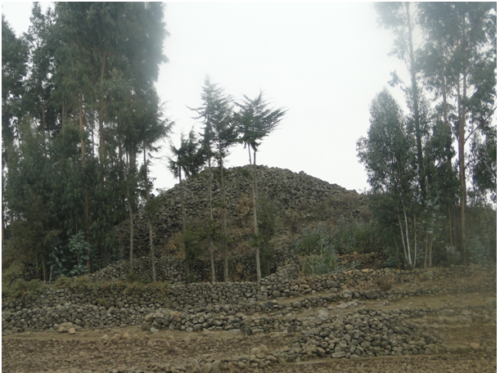 This PhD project as a result is targeted to reconstruct the complete feature of the mound building culture in the central highlands of Ethiopia with due emphasis on the aforementioned major themes which awaits detailed archaeological investigation. 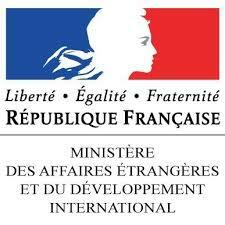 To do so, I have completed assessing the state of art in the megalithic studies of the world including Ethiopia and took part in prospection and excavation practices of prominent megalithic sites in France in my 1st academic year (2016/17) in France (University of Toulouse) under the supervision of F.-X. Fauvelle. Having the theoretical and practical exposure to megalithic archaeology, I conducted my 1st fieldwork (prospection) to the study area from June to mid-August, 2017. 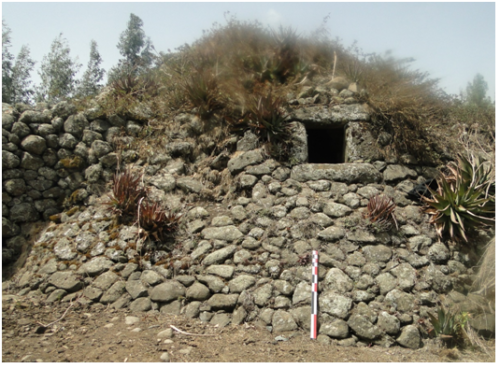 In this 1st season survey I collected important GPS data, photography, dimension measurements and oral inquiry as well as surface collection of artifacts from over 120 sites found in 10 districts of the 3 zones (N.Shoa, S.Wollo and Kemisse) of the Amhara region. This prospection enabled me to realize the existence of intact to completely destroyed mounds in the region. In the meantime, the perception of the surrounding community towards these mounds is highly associated with the existence of precious items inside, among others. Next, I will proceed to analyze and understand the collected field data of different types and communicate the result in various ways such as seminar. Thereby, selection of sample sites for thorough investigation (excavation) and reconstruction of the culture under study will follow.